After the 3rd week of the Call of Duty World League MLG 2Ks, three sets of tournaments and finishes, the points have been added up and the top 16 teams have been selected for the CWL Dallas Open Pool Play. 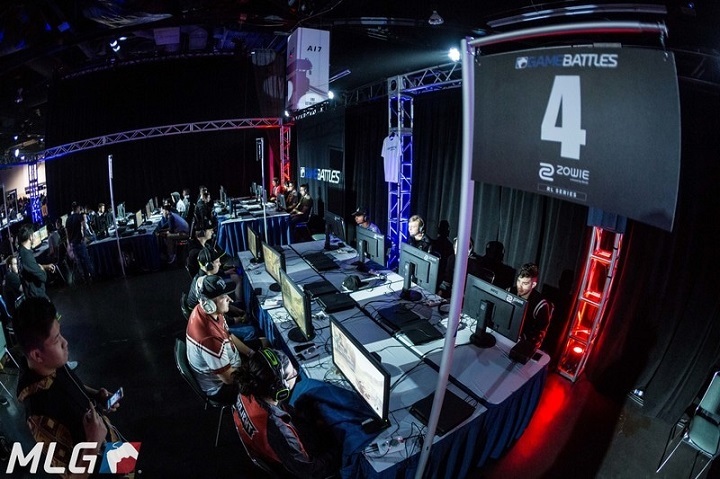 A few new faces have made it in and storylines continue to intertwine as we prepare for the first major LAN for Call of Duty: World War II. As usual when it comes to team selection, the three regions are allocated a number of positions corresponding to the activity respectively. Thus, North America has 10 spots, Europe 5 ad APAC 1. We'll start by listing the teams from NA. 1.) Optic Gaming: "Scump", "Formal", "Karma", "Crimisix"
2.) Luminosity: "Slacked", "Octane", "JKap", "John"
3.) Team Kaliber: "Theory", "Accuracy", "Chino", "Kenny"
4.) eUnited: "Clayster", "Arcitys", "Prestinni", "SiLLY"
5.) Engima6: "General", "Dashy", "Decemate", "Bevils"
6.) Ground Zero: "Parasite", "Blazt", "Fero", "StuDyy"
7.) Ghost Gaming: "Spacely", "Lacefield", "Maux", "LlamaGod"
8.) Rise Nation: "Loony", "Aqua", "FeLo", "TJHaLY"
9. )Team Envy: "SlasheR", "Classic", "Temp", "Huke"
10.) Evil Geniuses: "ACHES", "Apathy", "Enable", "NAMELESS"
The most interesting development is probably Ground Zero's squad lead by "Parasite" and Team Kaliber who look to be recovering from the poor performance after the past two years with a great performance online. One extremely noticable absence is that of FaZe Clan; one of the largest organisations. 1.) Splyce: "Bance", "Jurd", "MadCat", "Tommey"
2.) Red Reserve: "Joee", "Joshh", "Rated", "Zer0"
3.) Team Skrapz: "Skrapz", "Wuskin", "Seany", "Moose"
4.) Team Vitality: "Wailers", "Malls", "RiskiN", "Zayrox"
5.) Epsilon Esports: "Dqvee", "Hawqeh", "Vortex", "Insanatised"
1.) Mindfreak: "BuZZO", "Shockz", "Fighta", "Denz"
Skrapz, the young 21 year-old, has indeed created his own organisation together with his twin brother, and they are currently one of the top three in Europe at the moment. Mindfreak remain uncontested in APAC. The CWL Dallas Open 2017 will be answering many questions: Are OG the undisputed best? Will anybody upset them? Which new teams are truly top-tier and which simply don't look up to the hype?